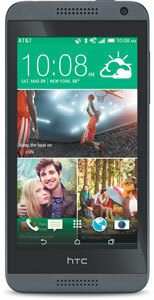 The HTC Desire 610 will support LTE bands on AT&T in the United States. With a screen size of 4.7 inches, front facing Boomsound speakers and a camera capable of taking Zoes, this device will certainly be very compelling to budget minded customers. Hell, I’ll be picking one up to have as a backup. For $200, why not? I never thought I’d see this device come to the US. A mid-tier device from HTC that still exudes quality not found in other phones in the same price range, I feel this is a no brainer. It’s a direct competitor to the Moto G, but with all the HTC features we’ve come to love. Anyone else planning on picking up this awesome budget phone? I am now very much leaning towards returning my Moto G LTE for this!! And will pop my Cricket wireless sim into this baby. Glad to read this. Def a great price! !